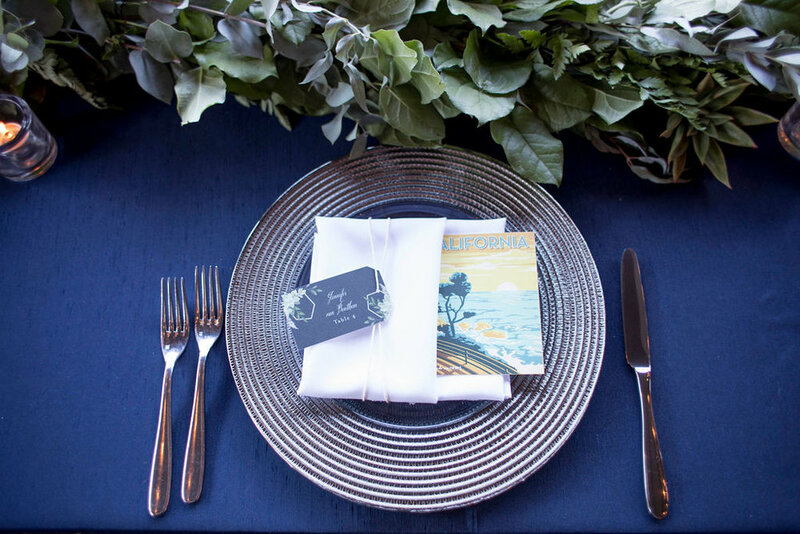 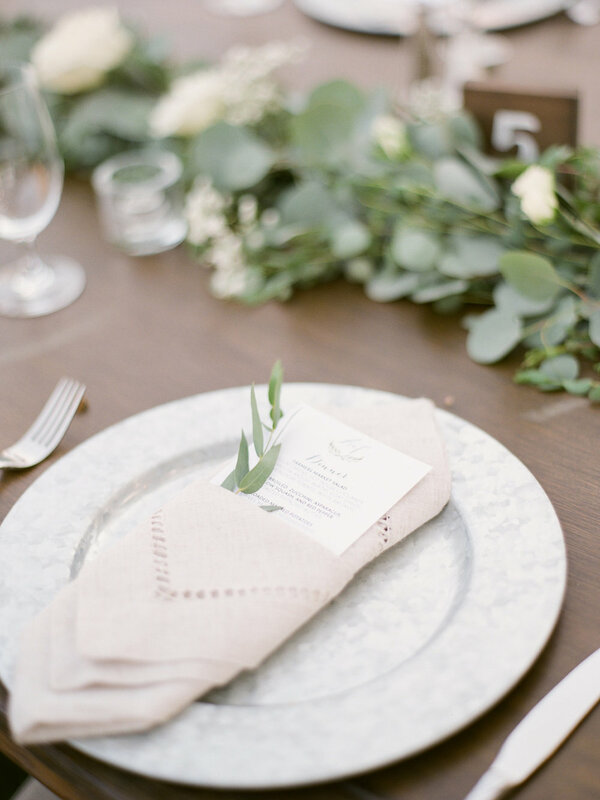 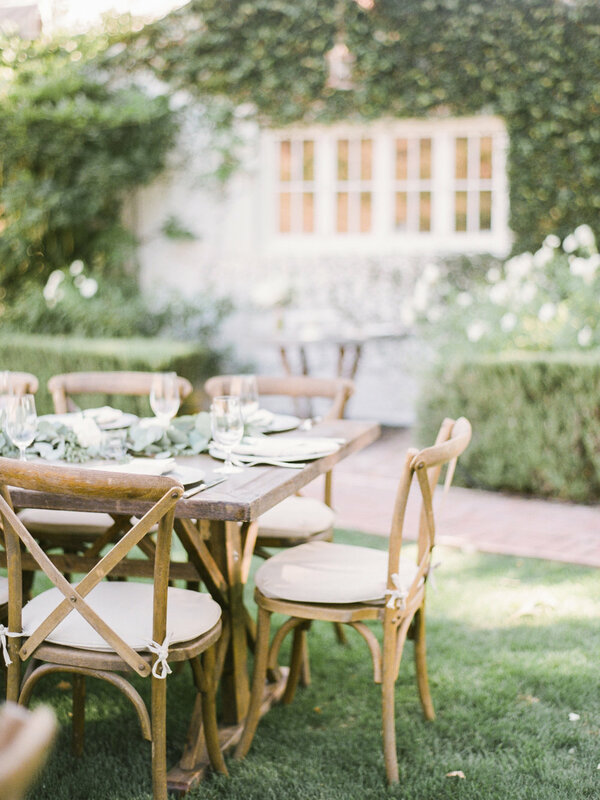 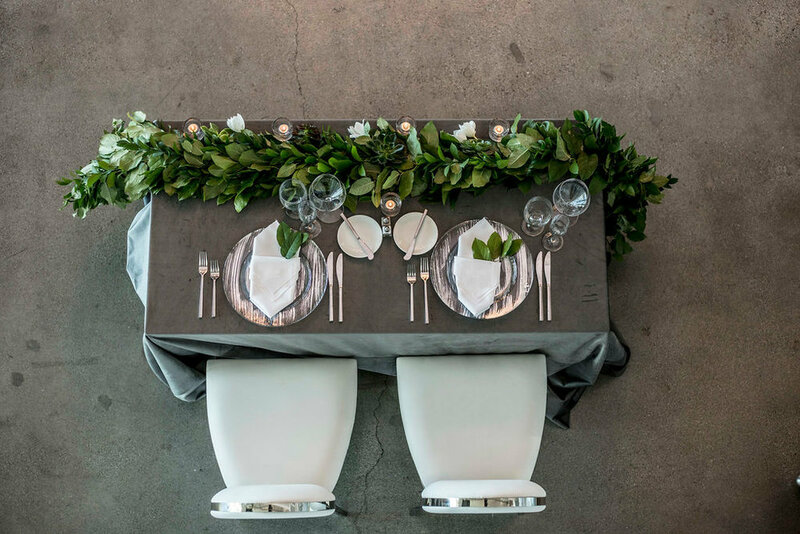 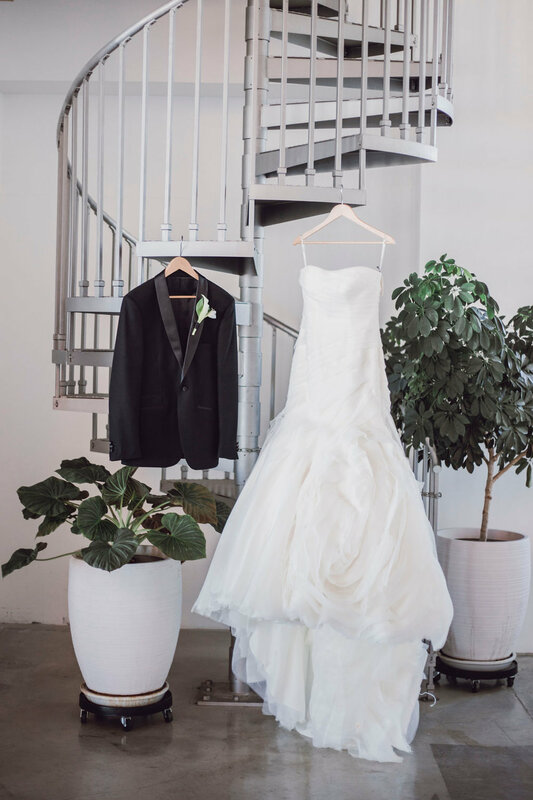 Sara and Jeremy's vision for their day combined classic and modern elements. 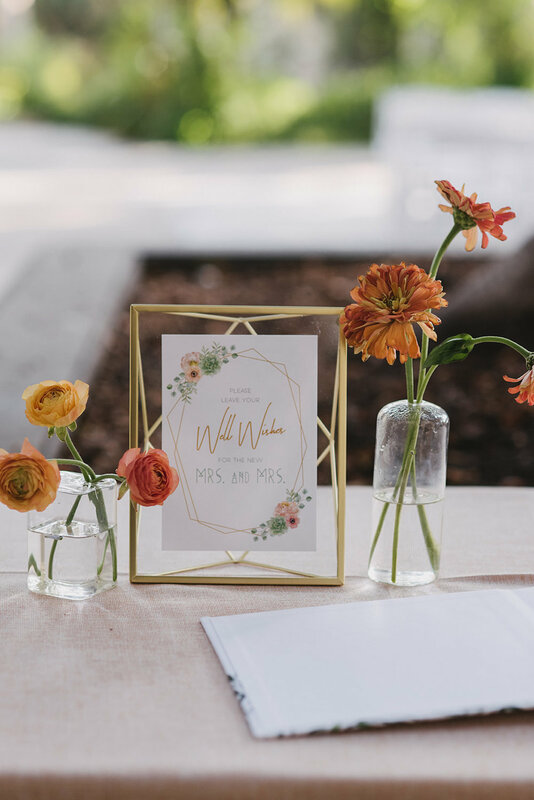 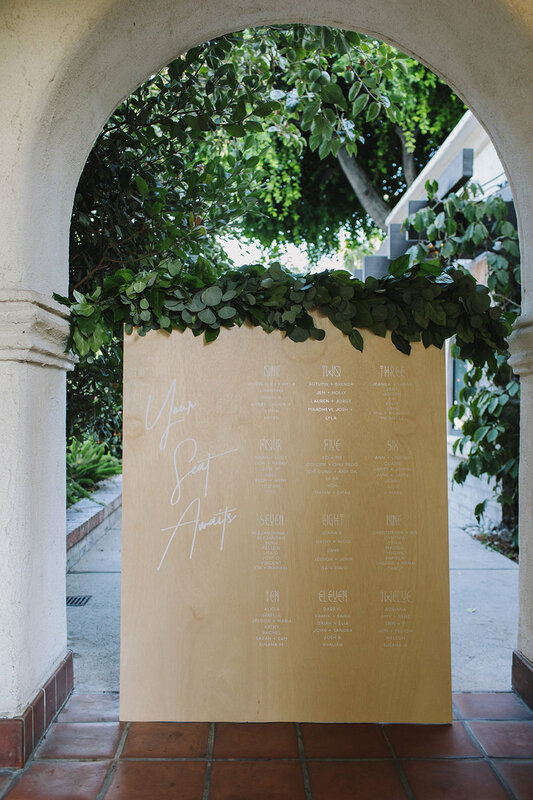 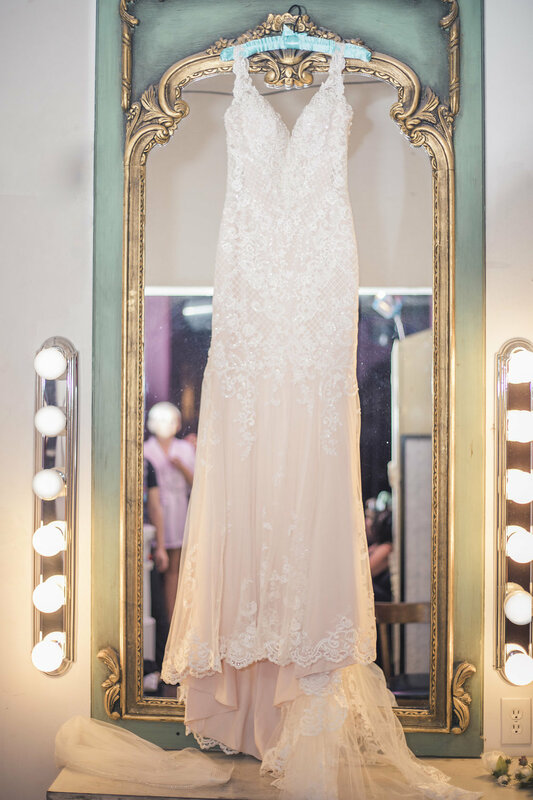 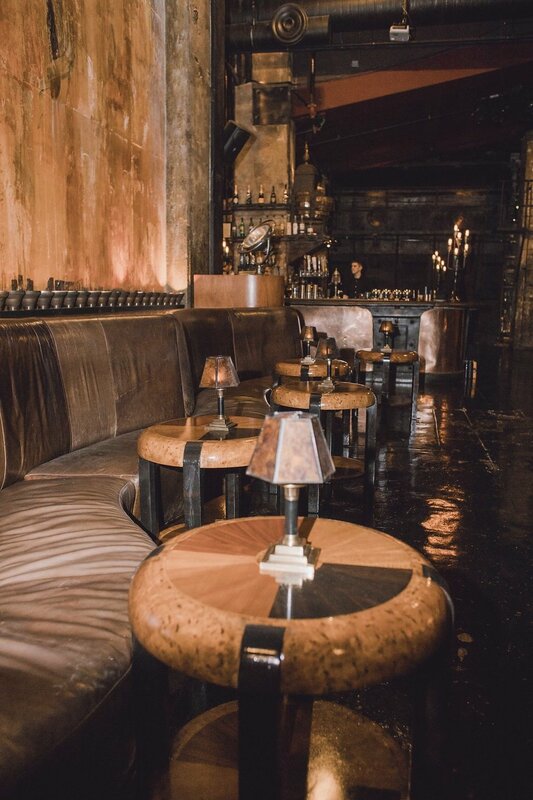 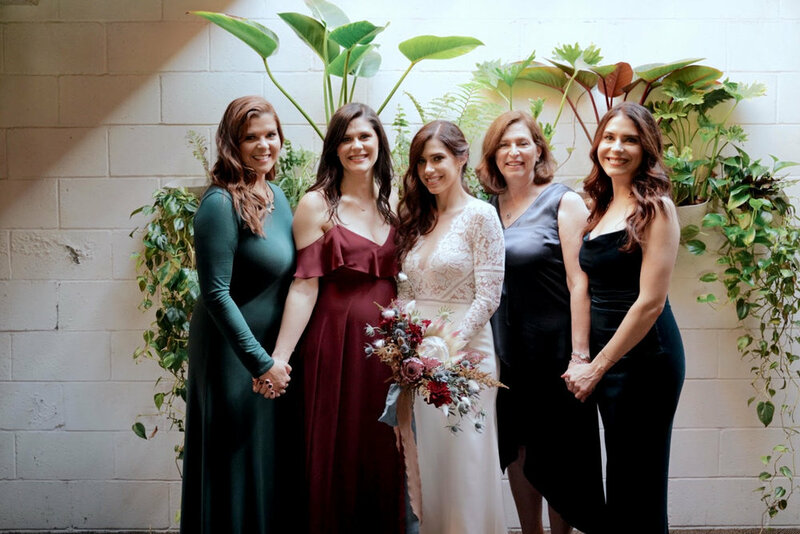 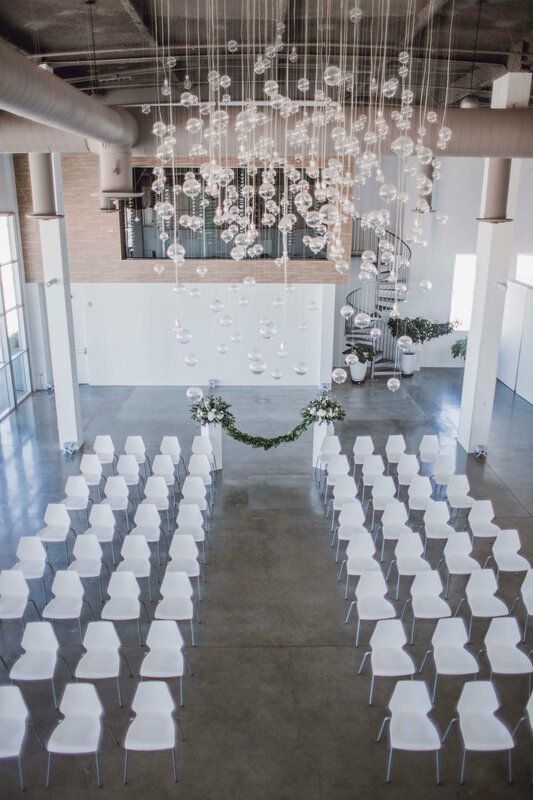 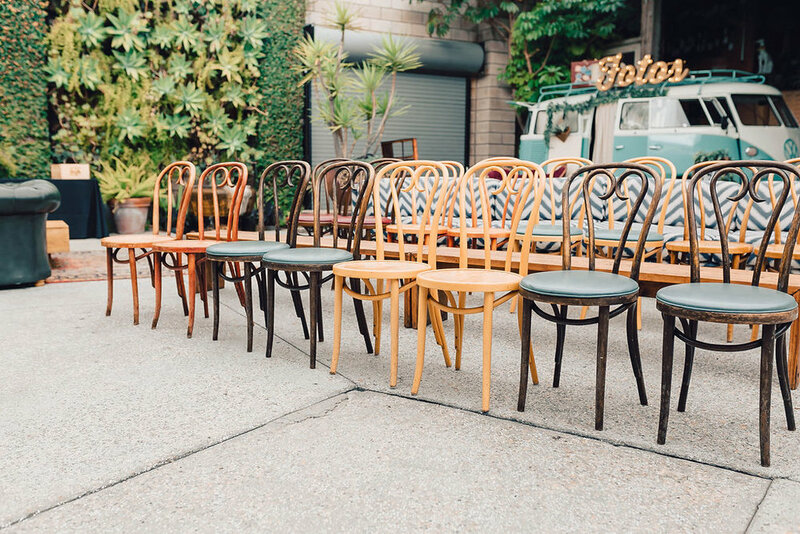 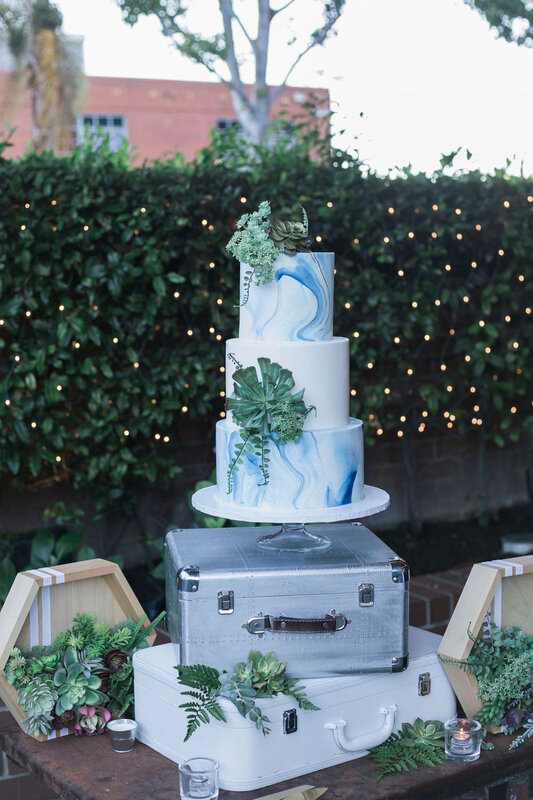 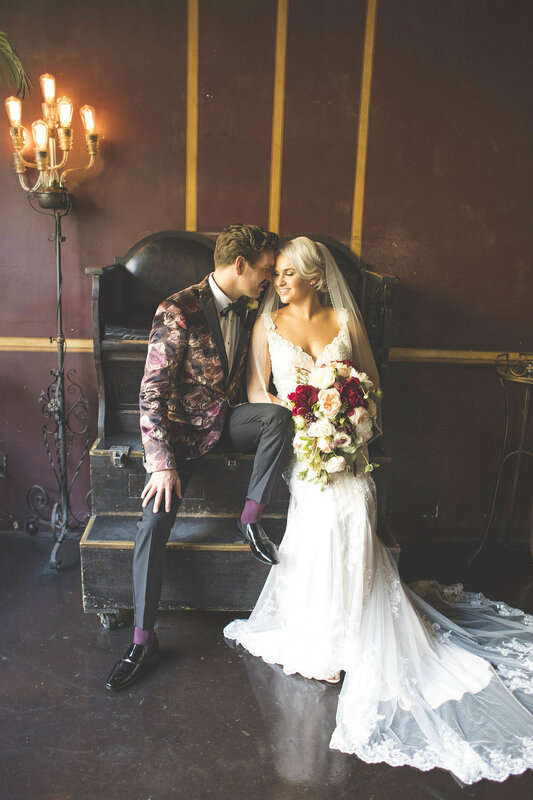 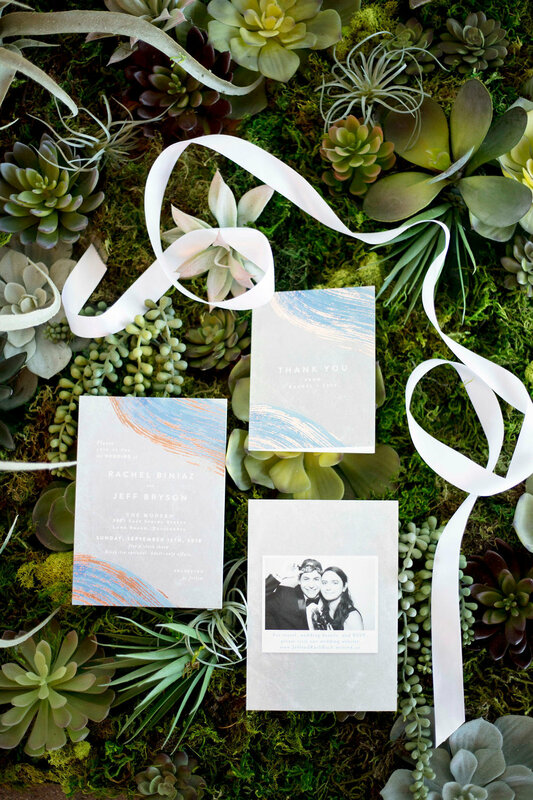 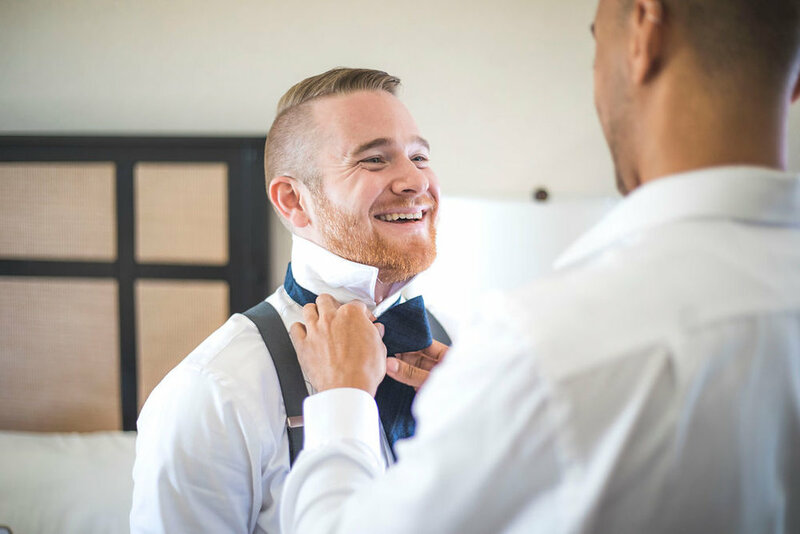 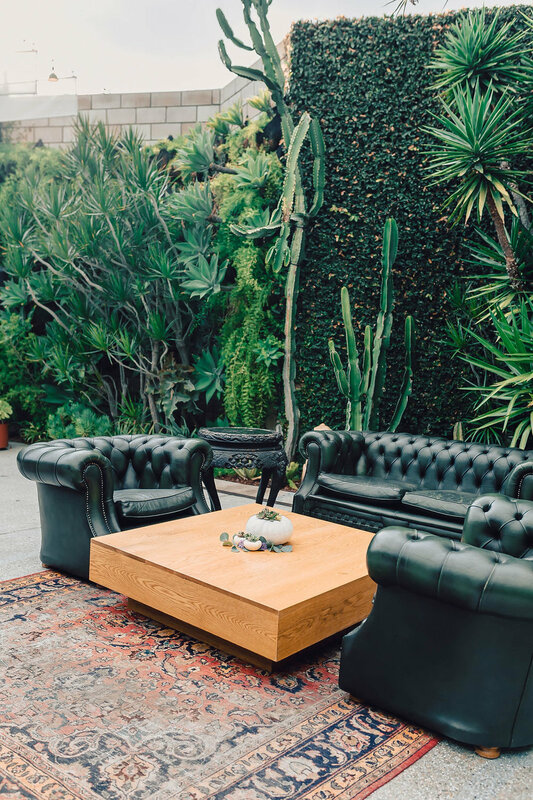 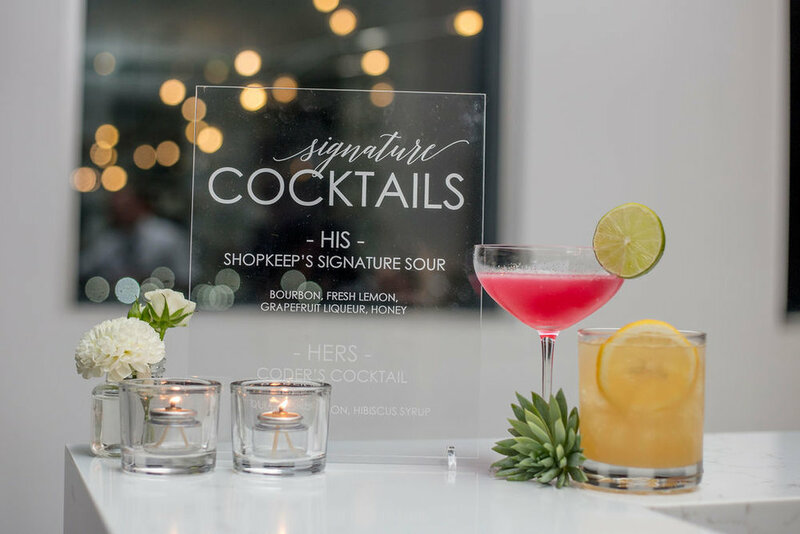 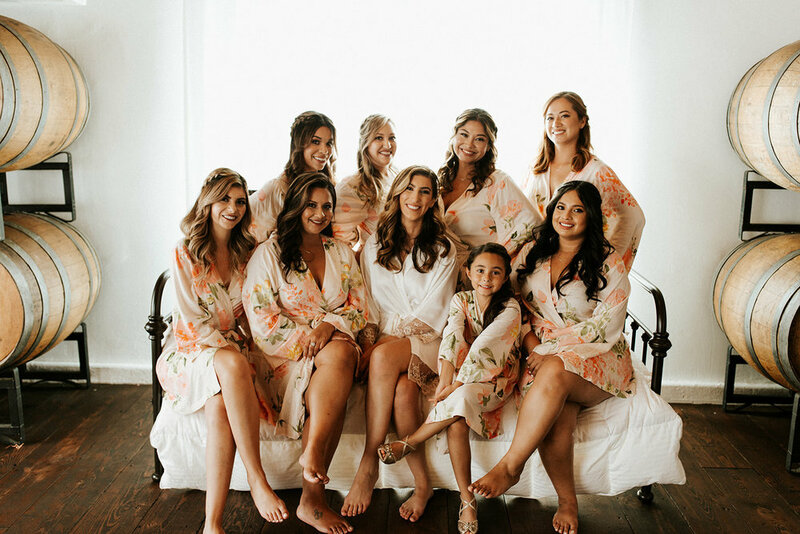 Marrying at the Smog Shoppe in Los Angeles, the couple chose to embellish the venue's natural beauty by using a color palette composed of gold, jewel tones, and fall colors. 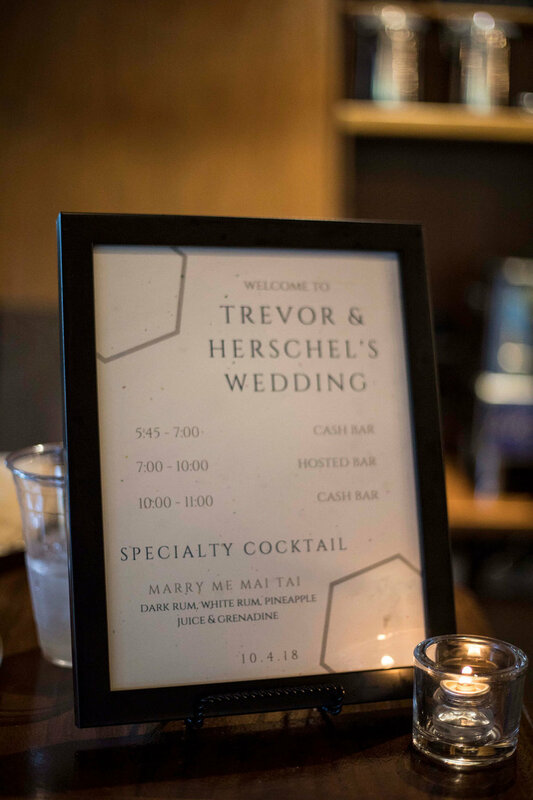 On the menu? 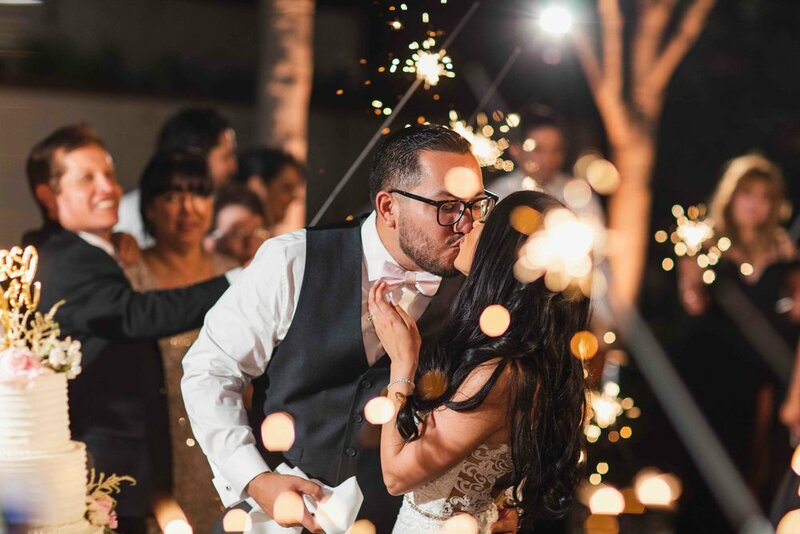 Tacos from Koji BBQ Truck, which were the couples favorite, were enjoyed by all. 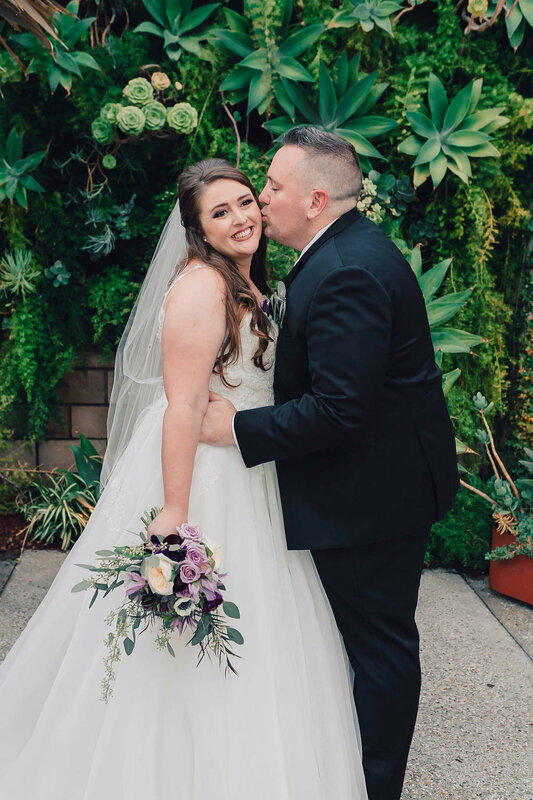 Congratulations to Sara and Jeremy and their enchanting day together! 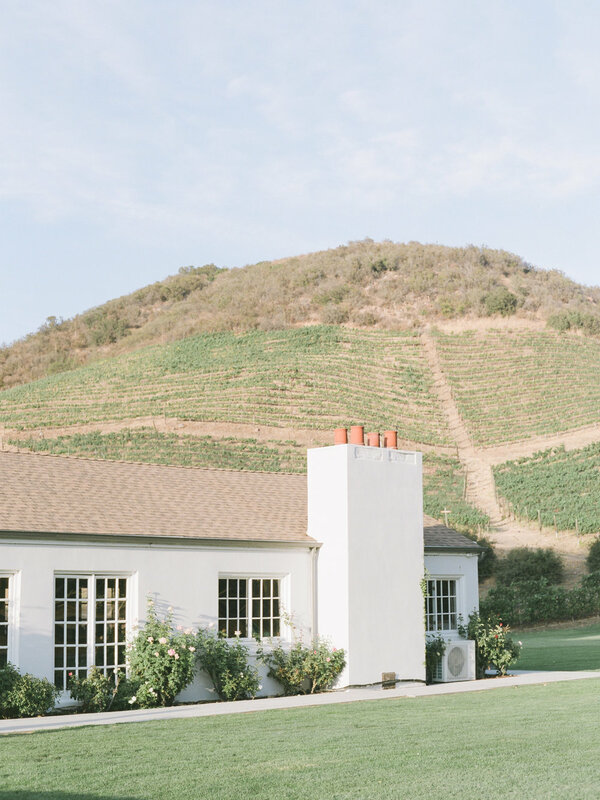 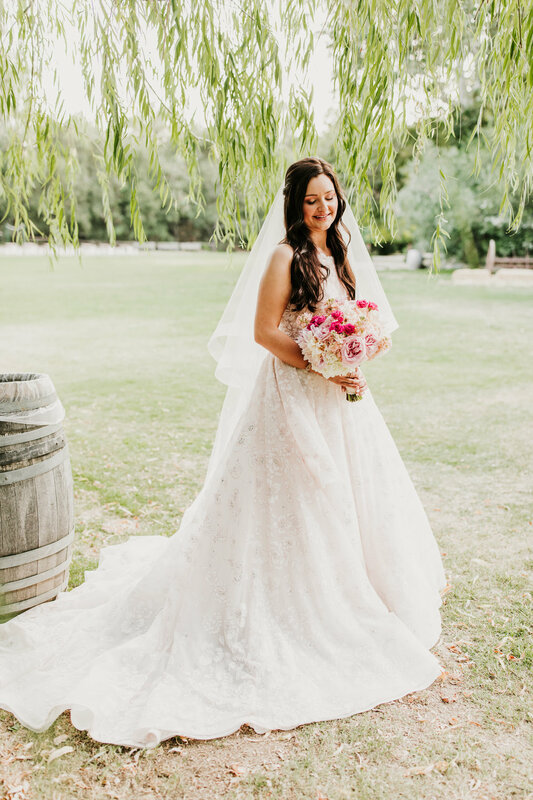 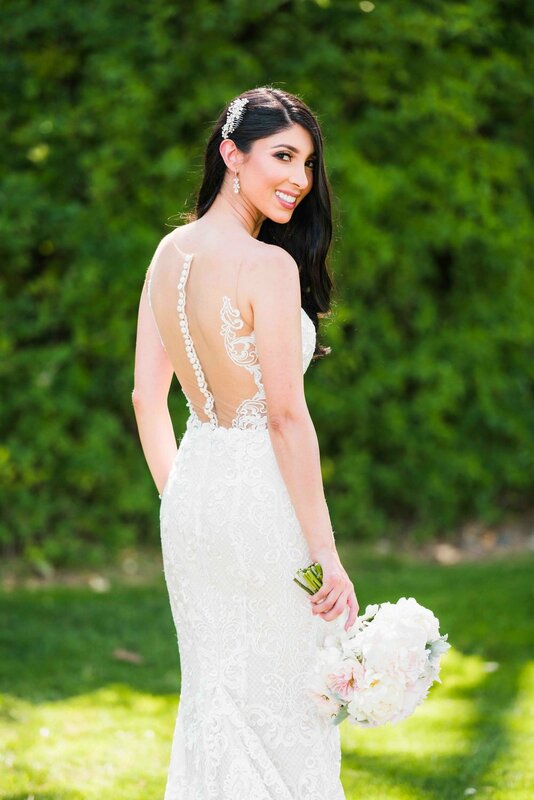 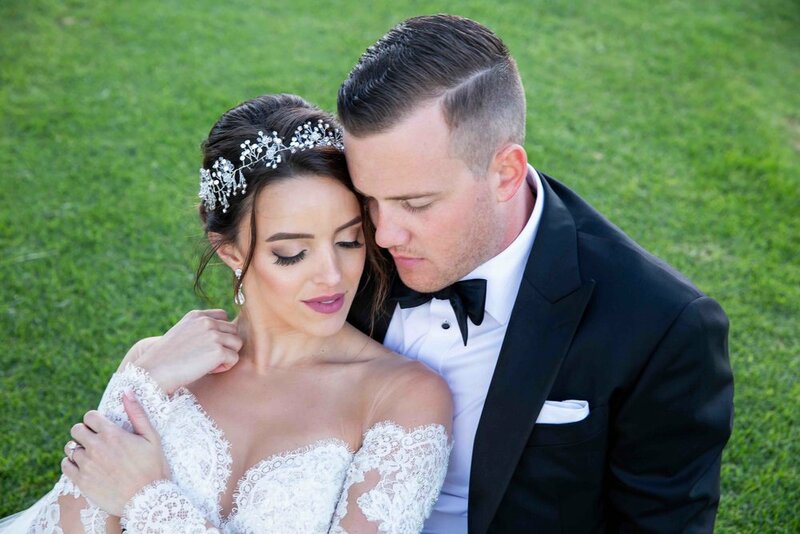 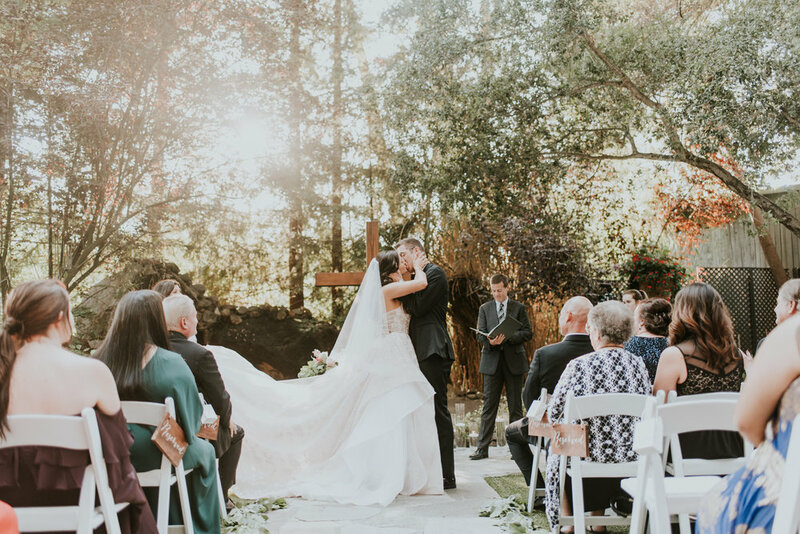 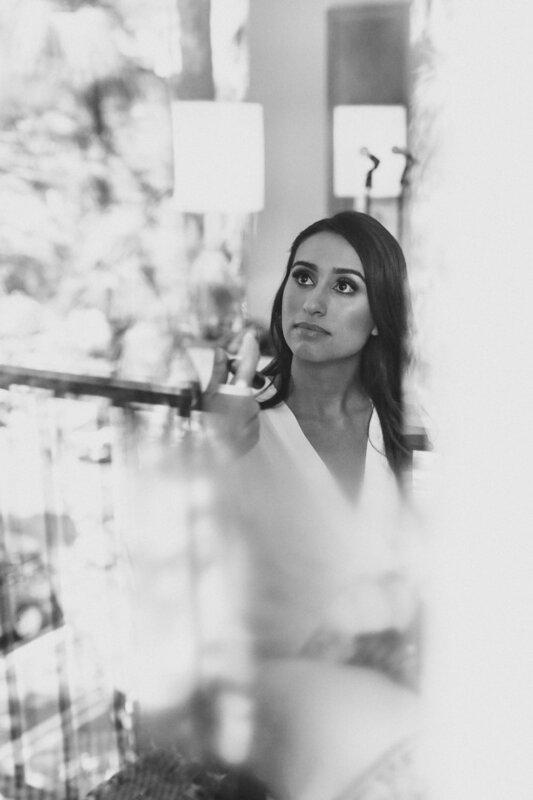 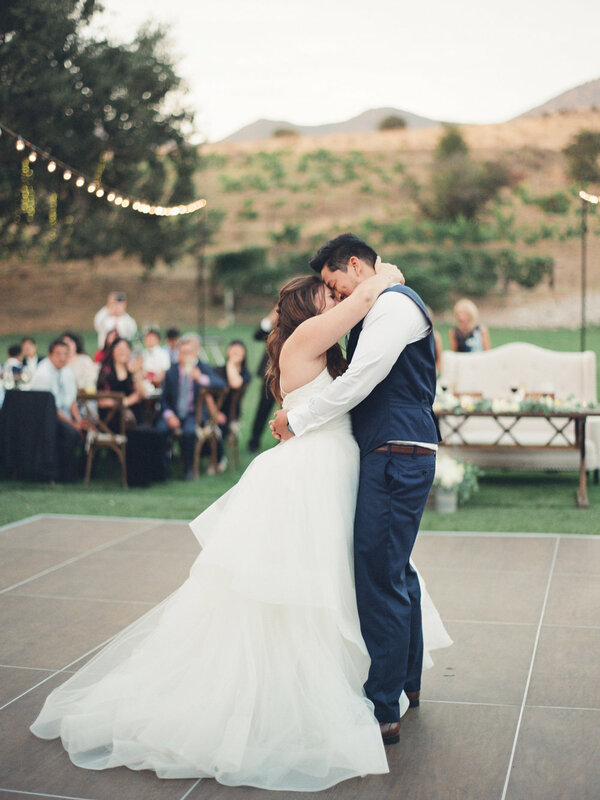 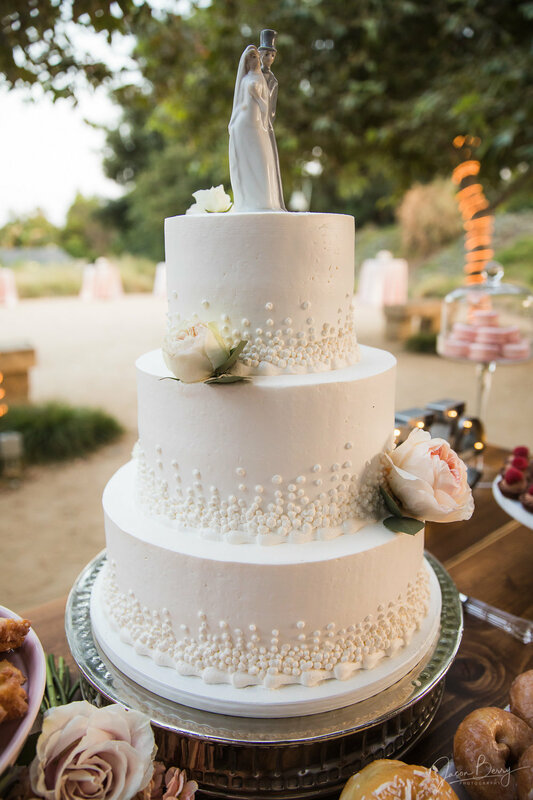 Triunfo Creek Vineyards, a private estate in Malibu, was the ideal location for Alex and Edlin as they said “I Do.” The couple had an outdoor ceremony under the majestic trees. 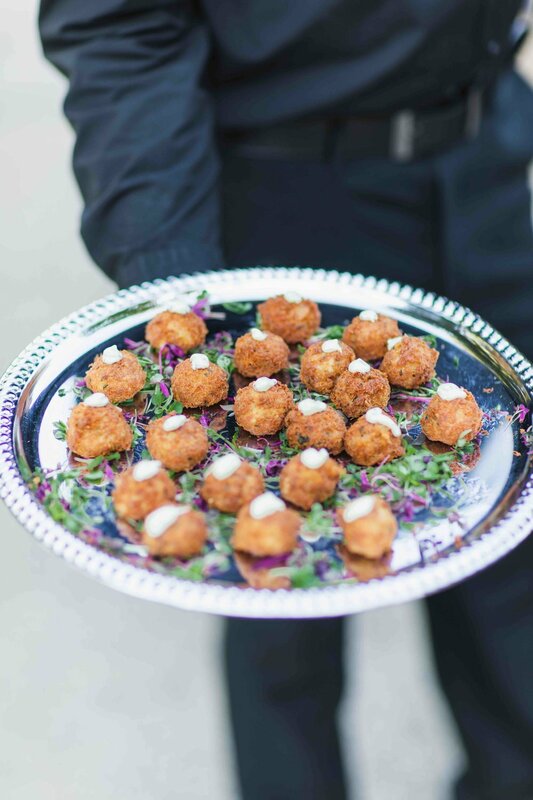 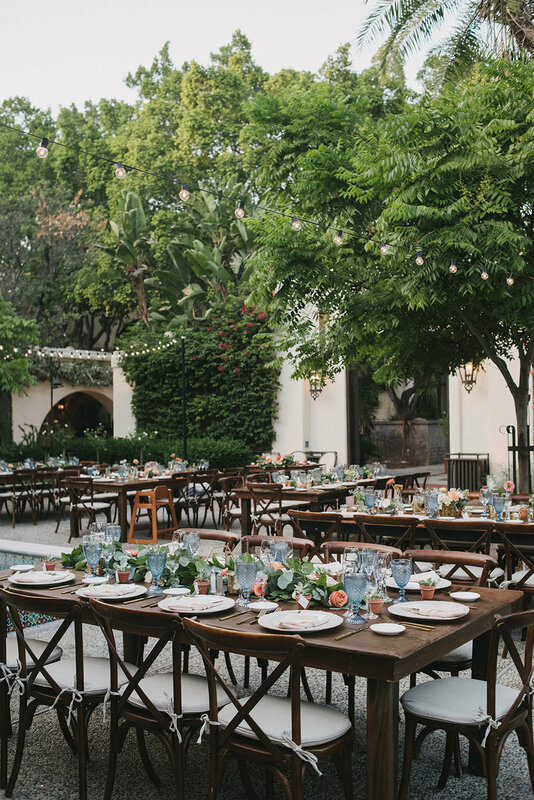 Enjoying the venues beauty, guests dined on appetizers while listening to ambient music. 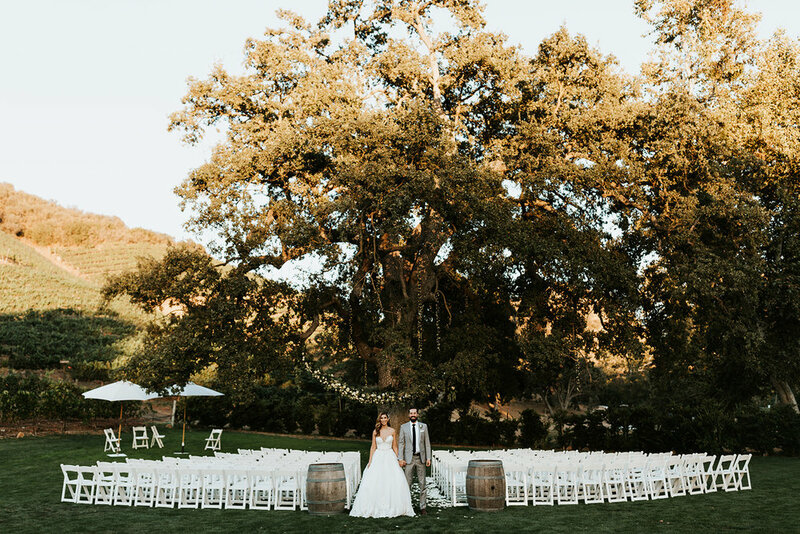 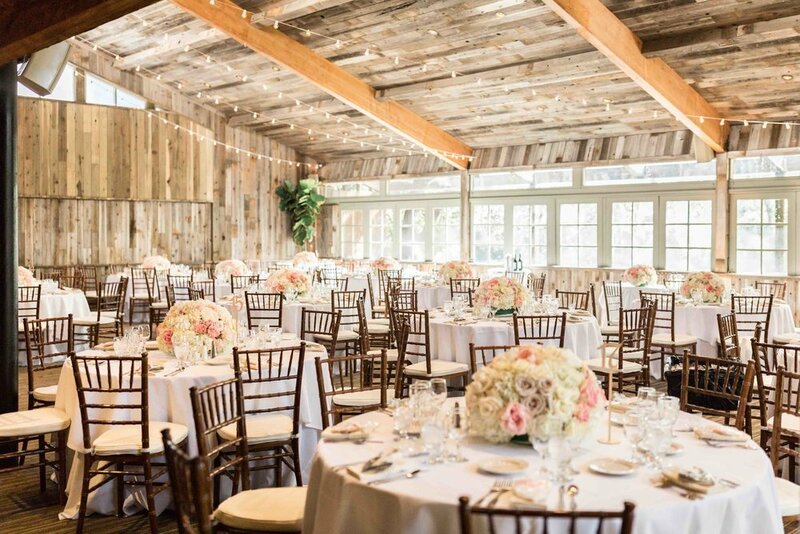 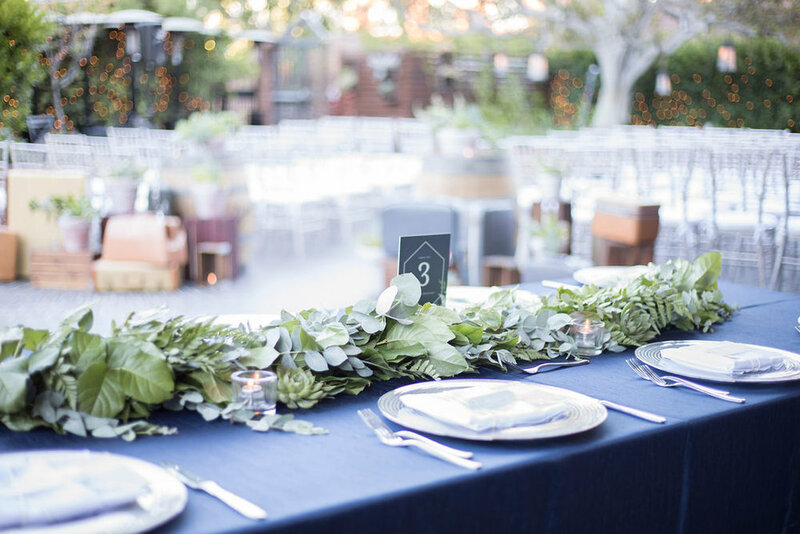 For the reception decor, rustic wood tables were set in front of the vineyards farmhouse, creating a truly stunning backdrop for the evening. 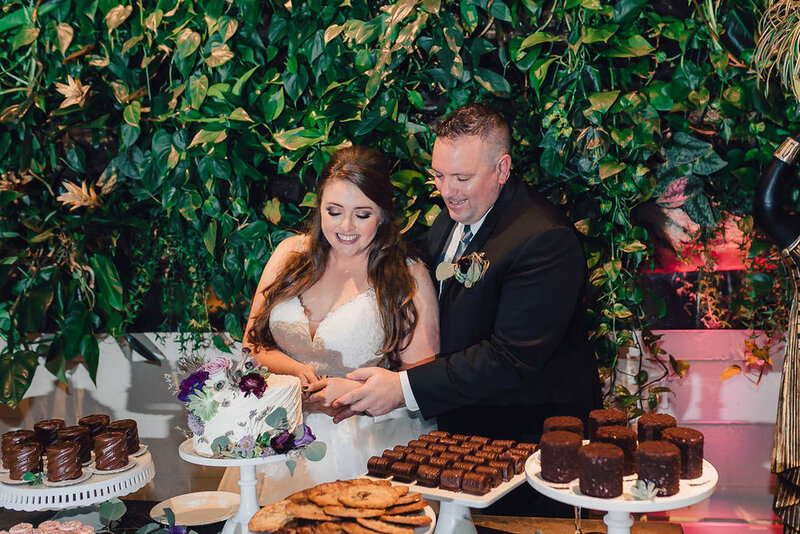 Following the delicious dinner with a three-tiered cake, all joined the married couple on the dance floor for some fun. 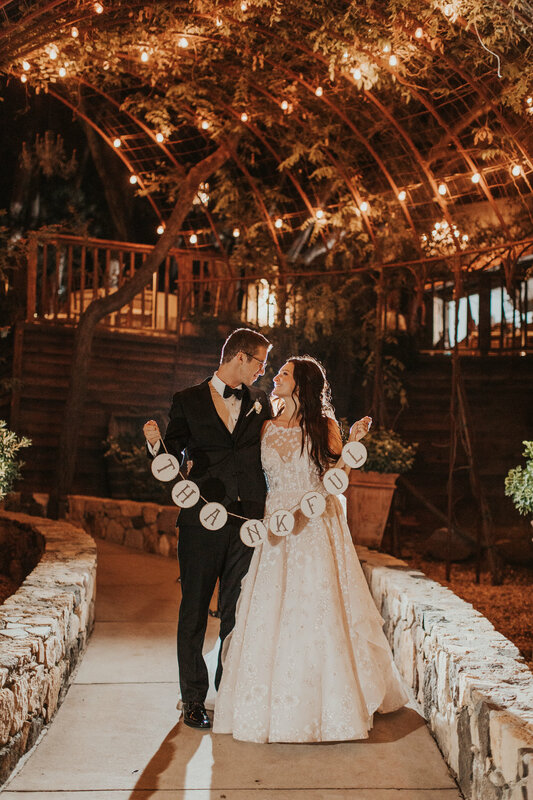 With family and friends in attendance, this day was a dream come true! 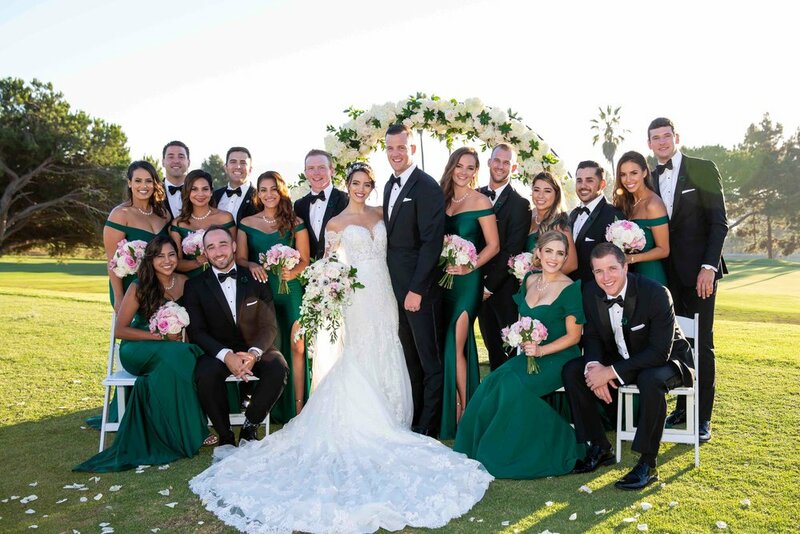 Los Verdes Golf Course provided a gorgeous photo location, where the special day of Anna and Chad was captured. 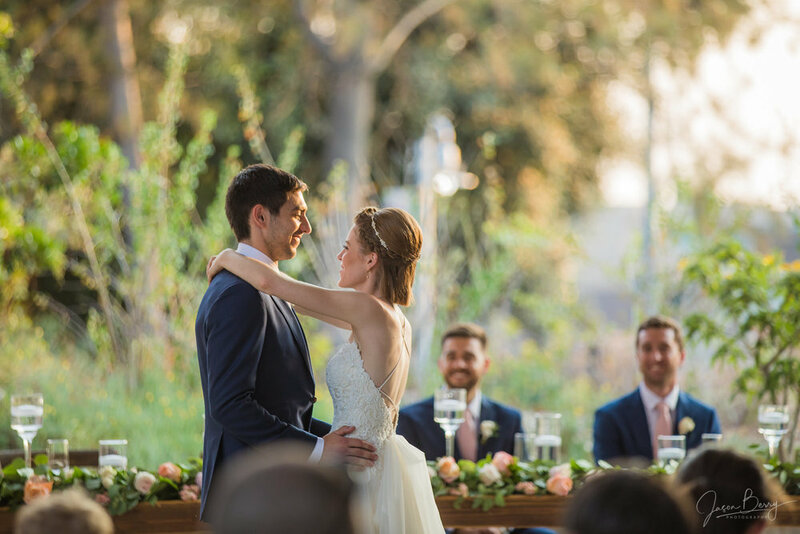 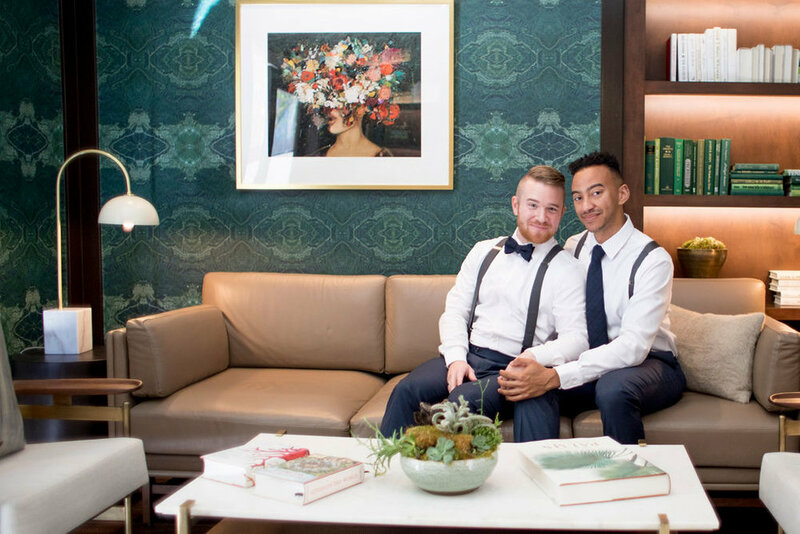 Feeling nothing but happiness, the two were surrounded by family and friends as they recited their vows. 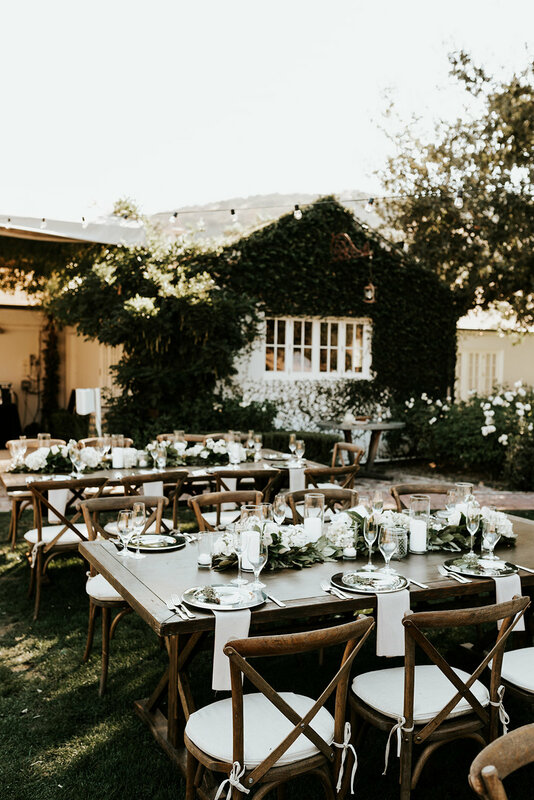 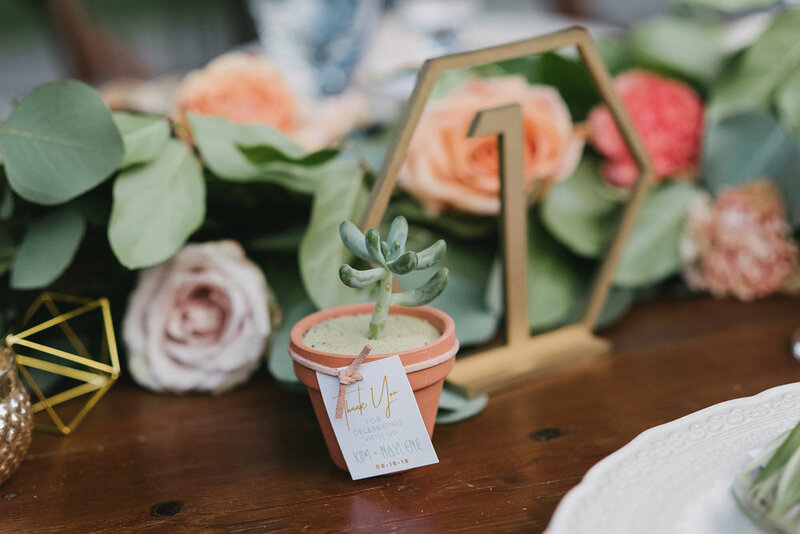 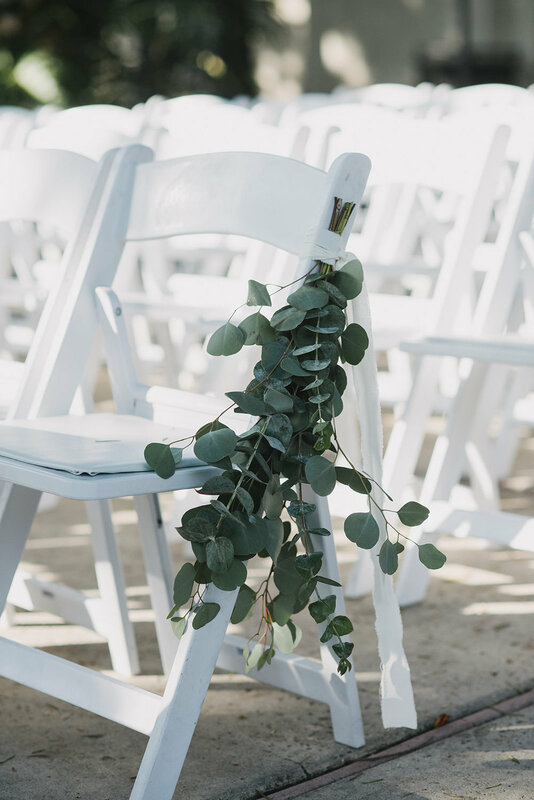 Shades of green throughout the venue’s landscape and floral arrangements added sweet elegance, making this day unforgettable. 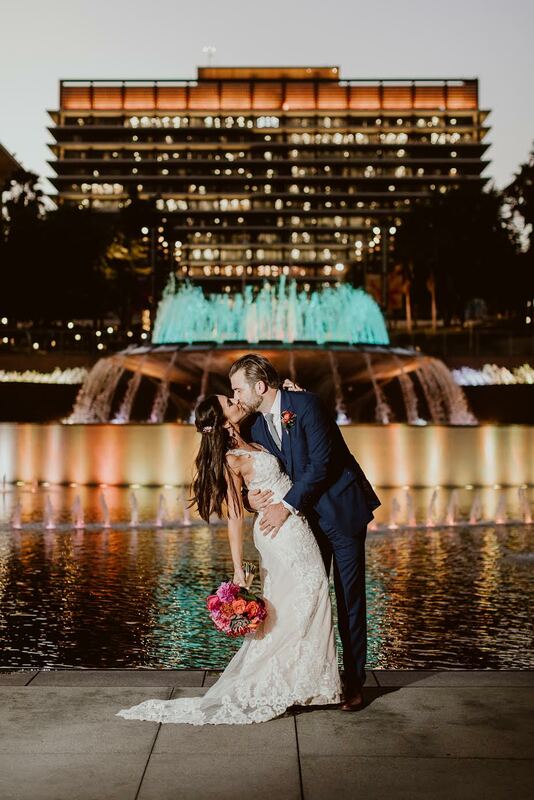 Congratulations to Ana and Chad on their magical day together! 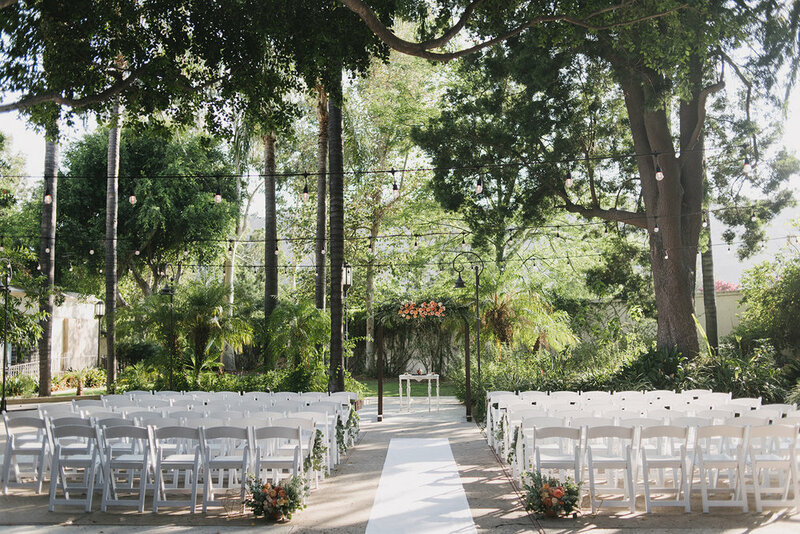 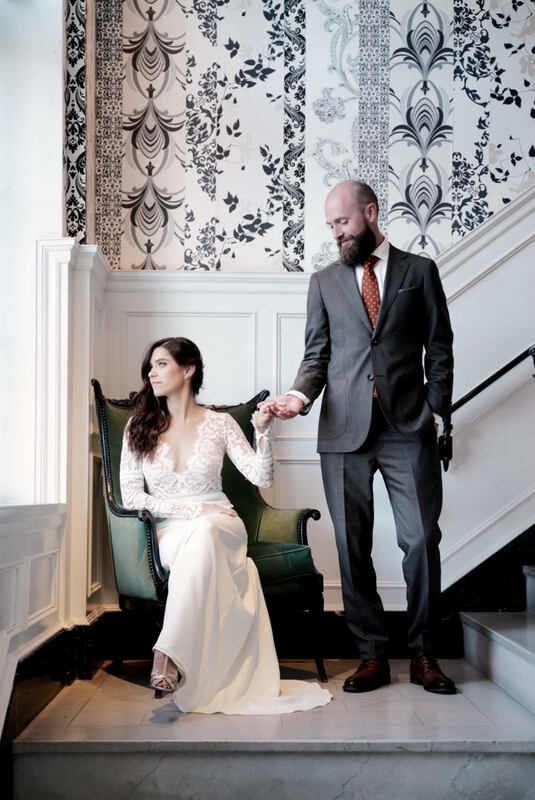 Nicole and Tom celebrated their wedding day at the Garland, a stunning venue in Hollywood. 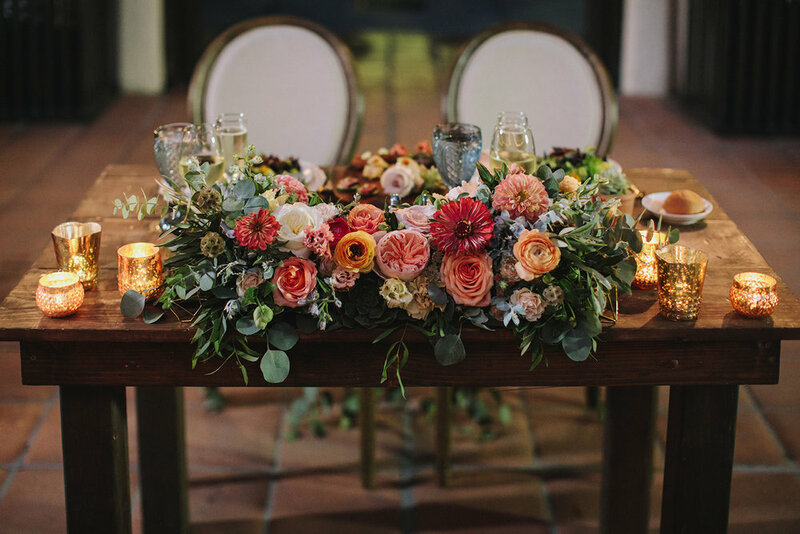 The two chose to add onto the venues natural beauty and fill the center of the tables from the reception with floral arrangements and votives. 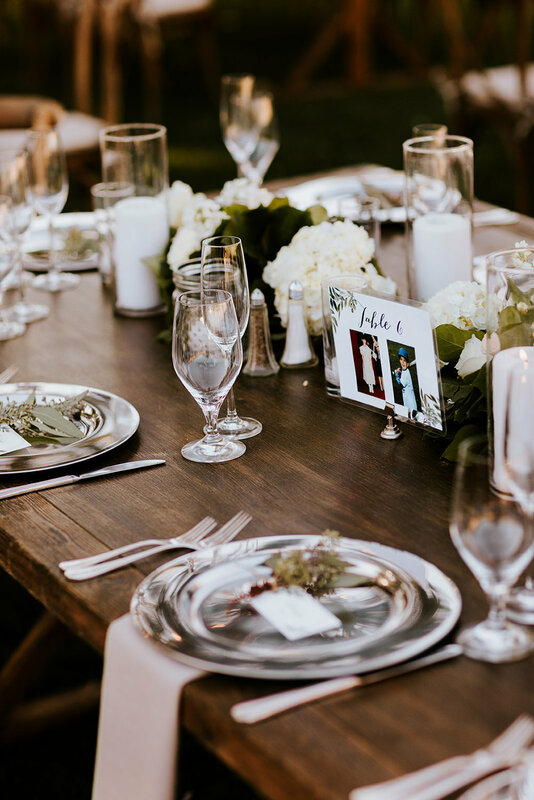 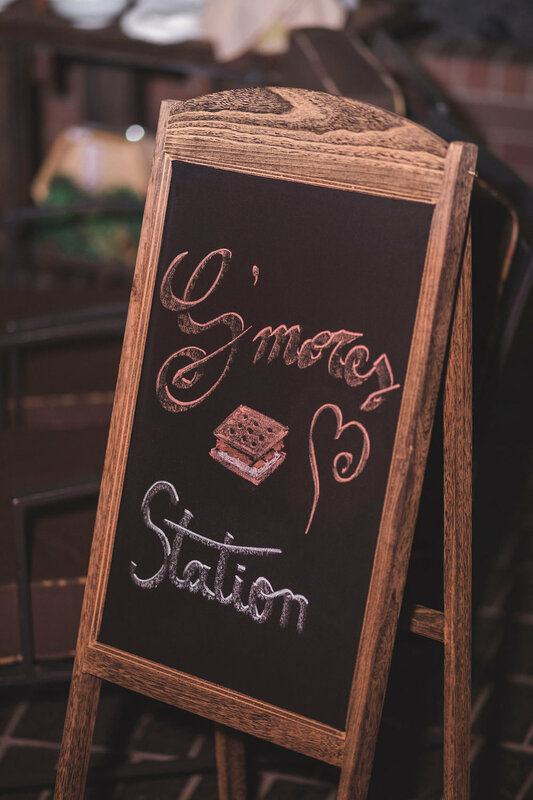 One of our favorite details from this day were the disposable cameras placed on each table, inviting guests to document their fun while saving those memories for the bride and groom. 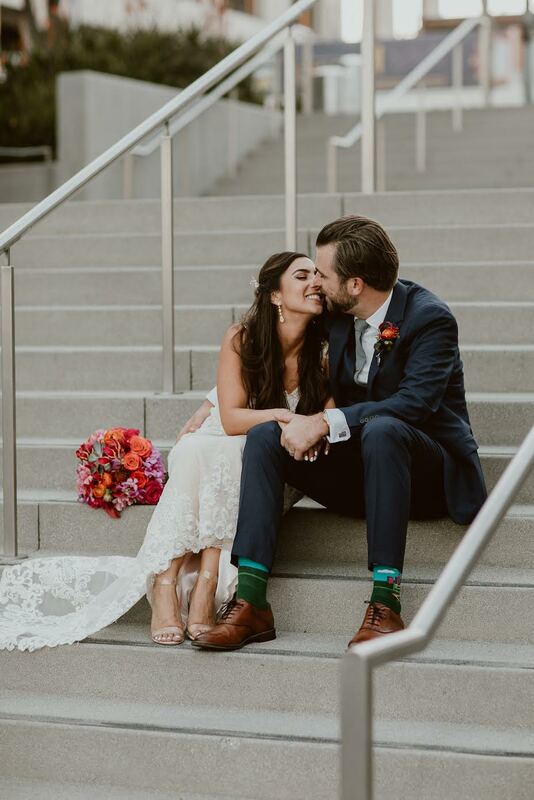 The happiness between these two radiated throughout the day and we wish them all the best! 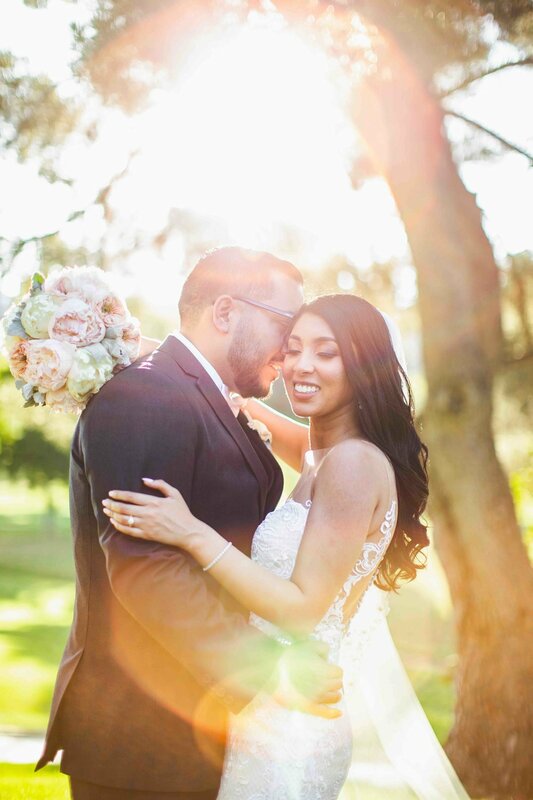 Amid the beautiful outdoors, Sarah and Kyle's rustic and chic wedding was held at the Fullerton Arboretum. 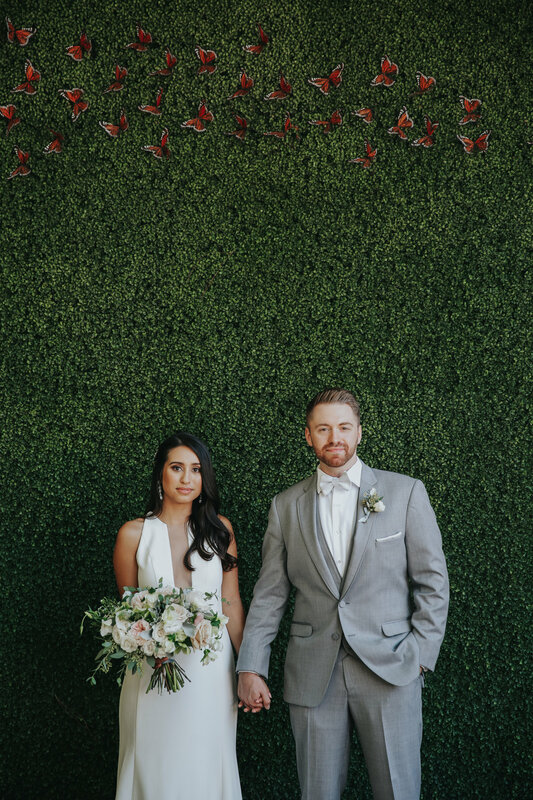 Creating this dreamy ambience, the bride and groom's color palette was infused with neutral tones and subtle shades of peach. 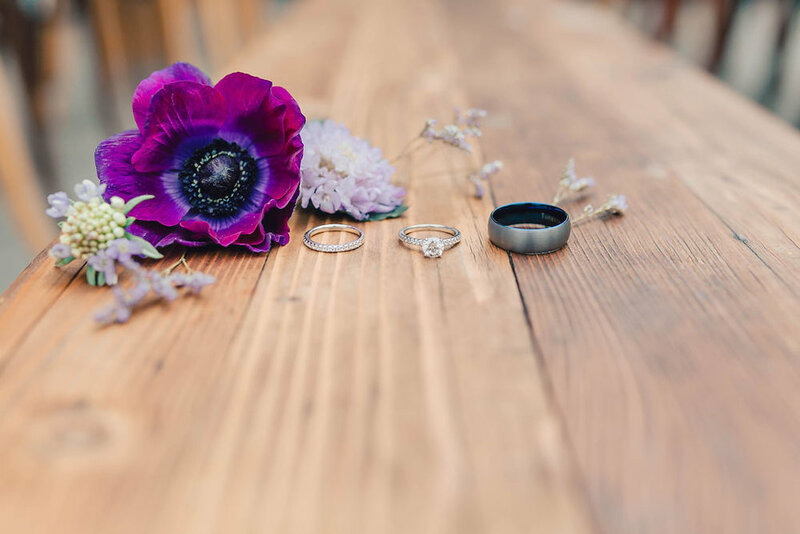 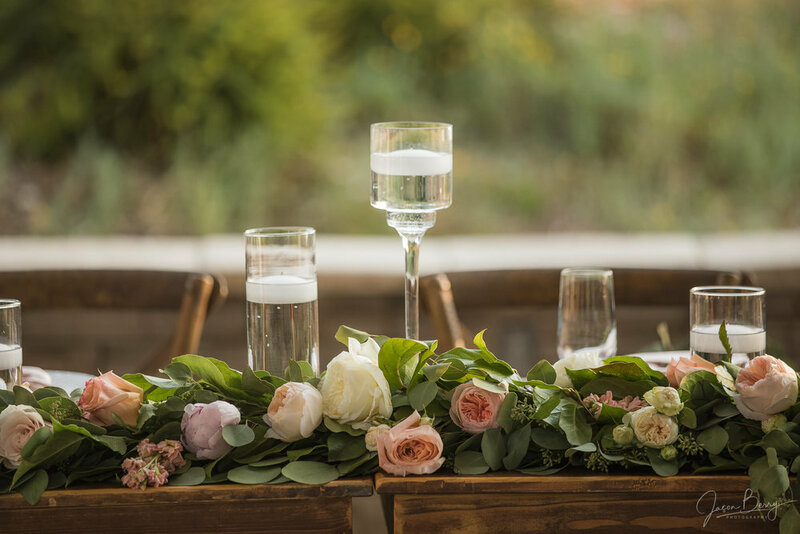 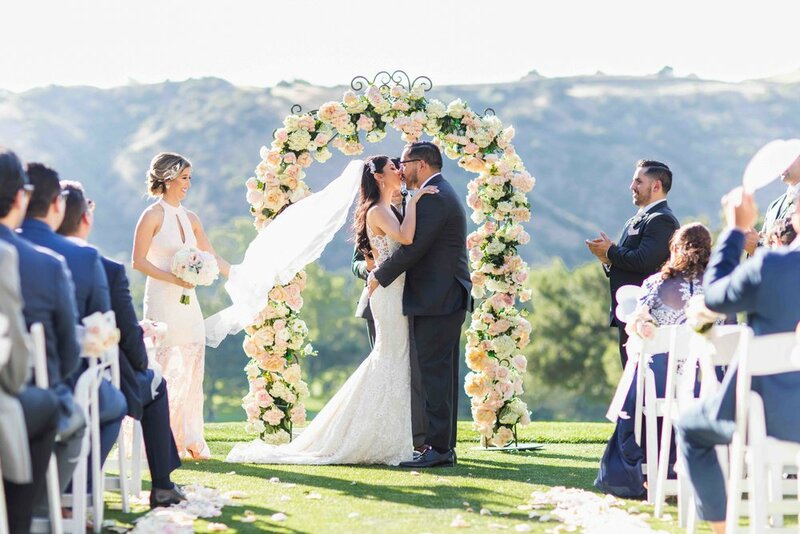 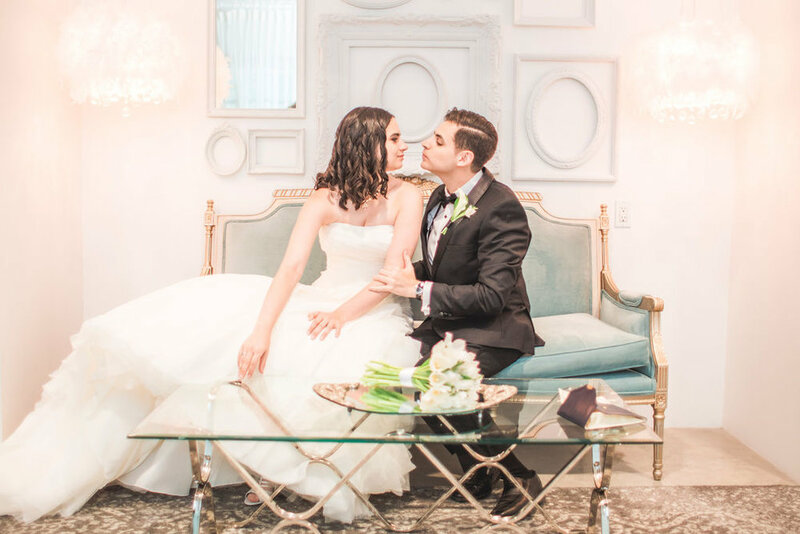 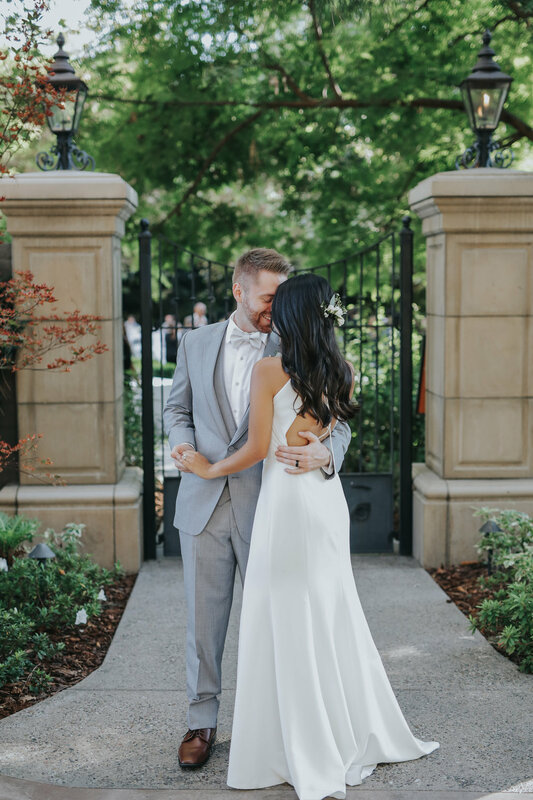 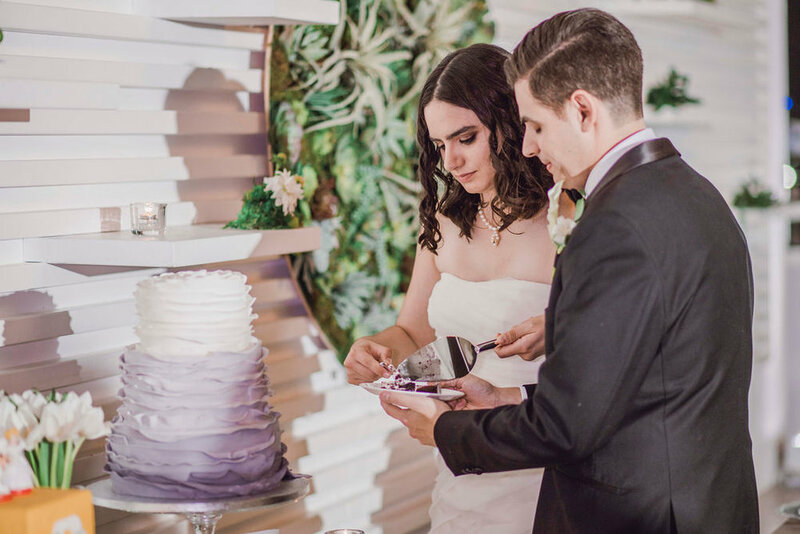 From the breathtaking setting, to the stunning floral arrangements, this day was filled with style and personalized decor, which was absolutely perfect for this romantic couple!